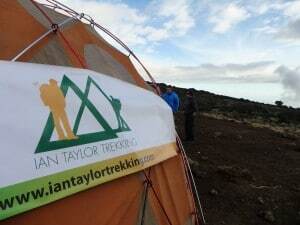 My Kilimanjaro experience with Ian Taylor Trekking was awesome. Best team on the mountain by far. We had the best tents, staff, service, food, equipment and 1 to 1 on the summit night. We had oxygen, excellent support and safety on the trip at all times. It was truly a great experience and best service I have received on a trekking adventure. The Ian Taylor Trekking experience was extraordinary and happy to write about my experiences on Kilimanjaro. 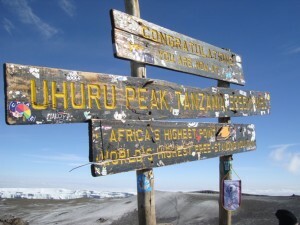 I had read a lot of blog posts and information about climbing Kilimanjaro. One call with Ian and I was at ease. I watched all his video’s read every blog and top tips and training information and knew I was in good hands. Ian and team always got back to me answering all my questions and highly recommend them for your Kilimanjaro climb. I was surprised to read that less than 50% of people make it to the summit of Kilimanjaro so my immediate response was I can not do this. Ian was able to explain the acclimatization process and how he had climbed Kilimanjaro in 5,6,7 & 8 days and the 8 day climb was the way to go. I trusted Ian’s judgement and experience. It was more expensive but I made a great decision!! I followed the training over a 4 month period gradually building up the time I spent hiking each weekend and gradually increased the weight in my back pack from 5kg to 10kg. I also trained 4 days a week in the gym, building my endurance on the treadmill, stair master, cross trainer and doing some weight training. This proved to be vital in my success on the mountain. Once I arrived in Tanzania I was greeted by an amazing crew of guides. Meeting Ian and listening to his stories helped me feel at ease and excited for the coming days. We did a gear check and the team sat around and chatted for hours. Our hotel was great with comfortable and clean rooms. I left my travel cloths at the hotel and excited to get walking. We were up early for the amazing drive across the African plains towards the west side of Kilimanjaro. We arrived at the Londrossi gate at 11:30am and checked in and watched the process of all our baggage, food and equipment being divided up among the 40 staff we would have joining us on this adventure. We were served a hot, 3 course meal while others eat from boxes and bags. I had no idea the amount of work that would go into helping us reach the summit and back down again. 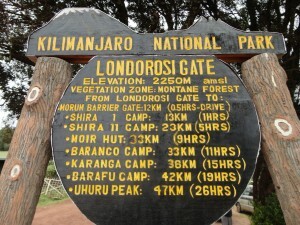 What I loved about the Lemosho route was the slow rise to the low levels of oxygen. 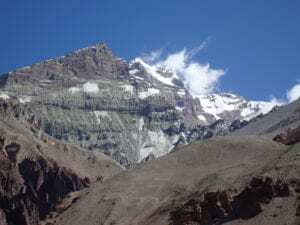 We spent our first night below 3,000m, 10,000 feet and then one night at 3,500m/ 11,500 feet and then three nights around the 4,000m/ 13,123 feet mark before moving higher to 4,650m/ 15,256 feet at Barafu camp. 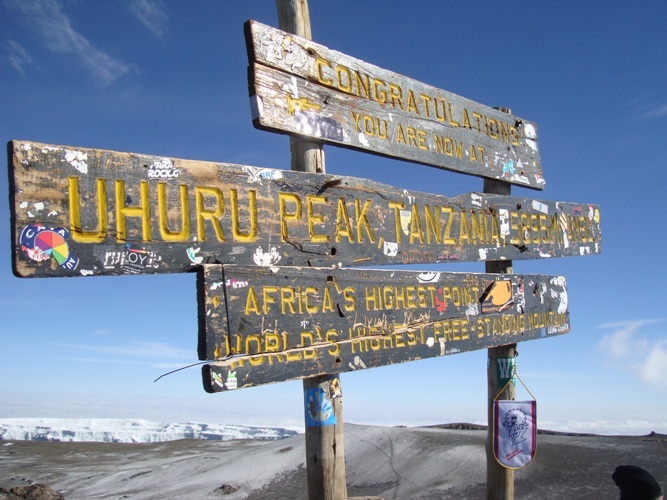 I had been to altitude before and struggled with the acclimatization program. This program was perfect. I could notice the lack of oxygen in the atmosphere but never to the extent that I was struggling. The pace of the trip was managed perfectly. I really enjoyed the Barranco wall scramble. I am used to this type of trekking and scrambling from Lugnaquilla in Wicklow, Ireland and enjoyed the challenge. The scrambling only lasted for 30 minutes and the rest of the route was moderate trekking. Topping out on the top at 4,200m/ 13,780 feet gave amazing views of Kilimanjaro and back down the Baranco valley. 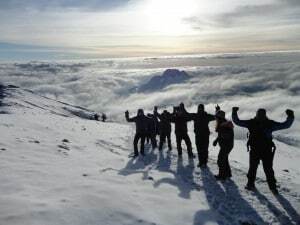 The group started to really believe the summit was achievable. This day’s hike really boosted our confidence. 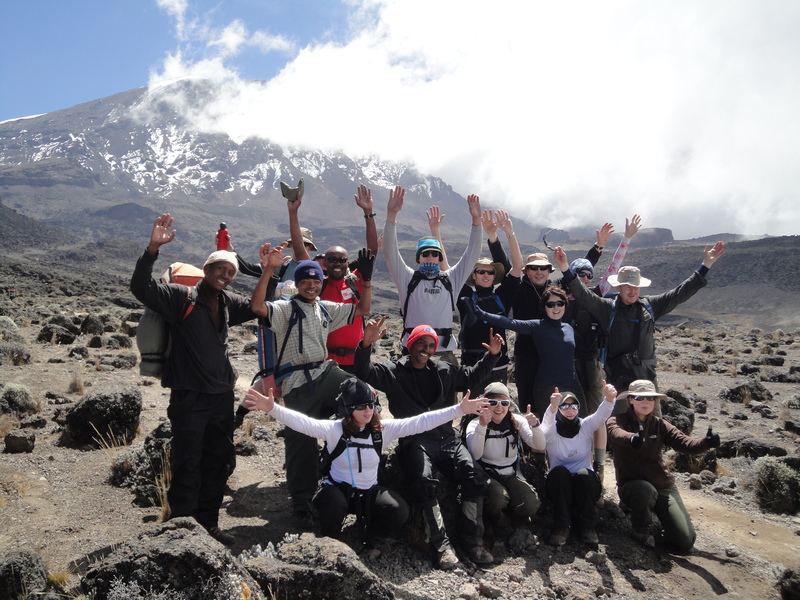 The final hike to Karanga camp was amazing, we were walking on a lunar landscape and really enjoying the walk. The final drop down into the Karanga valley was steep about 100m down and 100m up the other side. 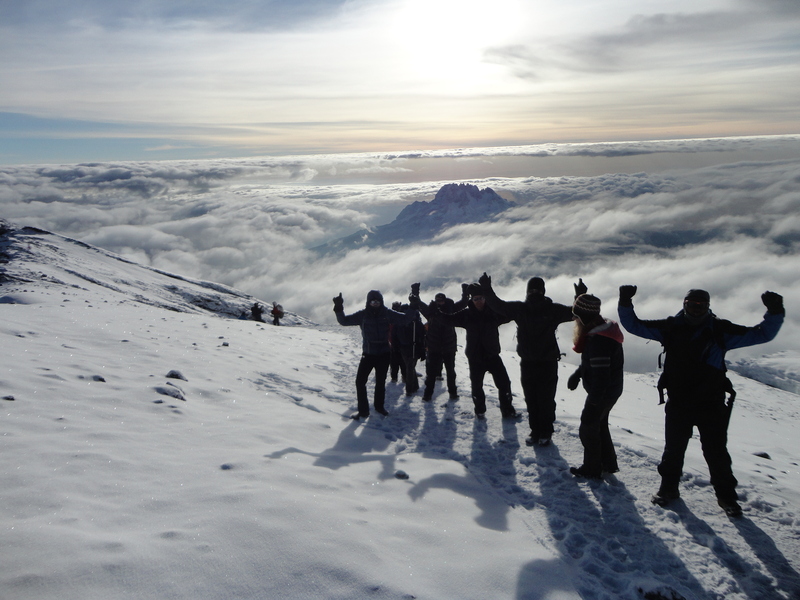 We had a steep climb up to Karanga camp at 4,010m but the team paced the hill perfectly. A great days walking. From Karanga this was it. We had a nice relaxed hike up to Barafu (high camp) at 4,650m and this is where we made our summit attempt. The sunset in Karanga camp was amazing and I was sleeping well, staying well hydrated and ready for the summit challenge. Once we arrived in Barafu camp we had dinner early and wanted to rest up and most people slept that afternoon into the evening before we would wake up at 11pm. I woke up so excited for the summit night. I drank a liter of water in the tent as I prepared. at 11:45pm I was in having breakfast filling up 2 nalgene bottles and drinking more water. At midnight we all lined up and I composed myself for the long slow journey up to the summit. It was quiet warm as we took off out camp and slowly got colder and colder. Ian was amazing, motivating me and helping each person through the mental challenges of the night. After 5 hours of extremely slow walking I started to find the mental challenge very tough. Ian walked with me helping me breath properly and focus on each step. This helped me through the next 2 hours to the crater rim. This was by far the hardest 2 hours of the trip. Getting up to Stella point was amazing. We had amazing light in the sky and I could see how far I had come. Once we arrived at Stella point we were all tired but knew we were so close and that was enough for everyone to move slowly towards the summit. The sun was up and the walking was easier. Ian was leading the way and everyone could see the top. 45 minutes later we were on the top. I was blown away by the view and still find it hard to believe I was stand on the highest free standing mountain in the world. We spent 25 minutes on the summit before walking back down as a group. Some people were tired but Ian pushed everyone to focus on each step and getting the breathing right. 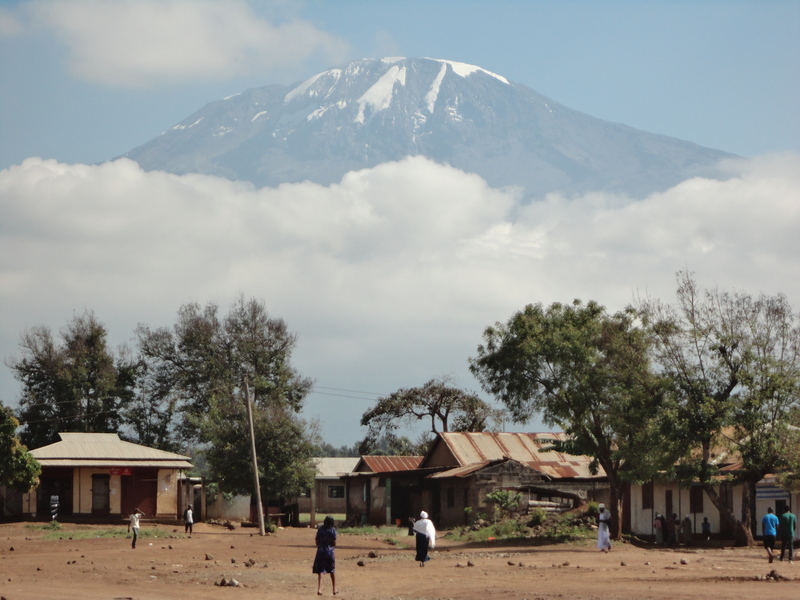 It was challenging and warm coming down as we reached Barafu camp. It took just over 3 hours to arrive back in camp. We all fell into our tents with Ian telling us to drink lots of water. After an hour of rest we had to pack up our sleeping bags, sleeping mat and kit. We had lunch and started walking further down the mountain. 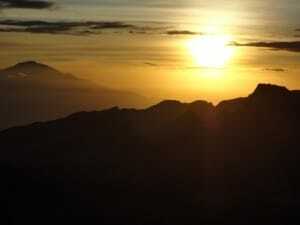 It was great moving further down the mountain, the air was rich with oxygen and the achievement began to sink in. 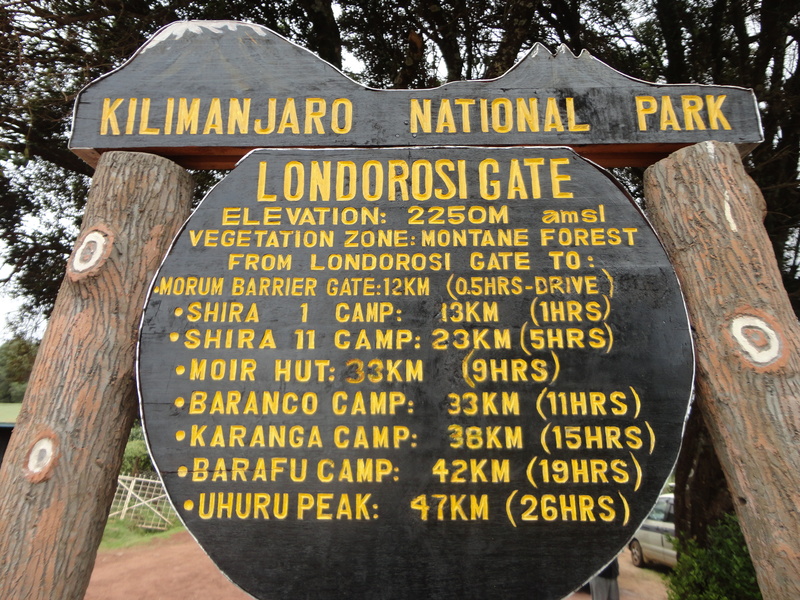 After 3 hours of down hill walking we all reached Mweka camp at 3,100m. We had dropped from 5,895m to 3,100m. We left at midnight and arrived into Mweka camp at 4pm. Dinner was served and everyone was enjoying the summit success and talked about our experiences and the challenge. We all went to bed early and sleep hard. The final day was amazing we had presented our guides, porters and staff with tips. We did 30 minutes of dancing before walking back through the rain forest back to the Mweka gate at 1,700m. The summit day was by far one of the hardest things I have ever done but felt great. The hard training prior to the trip really paid off. Thank you Ian and team for all your support. 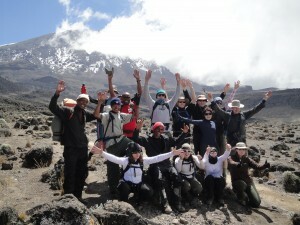 Your Kilimanjaro service is world class and loved every minute of the trip. Your guys are great. Read some more REVIEWS.